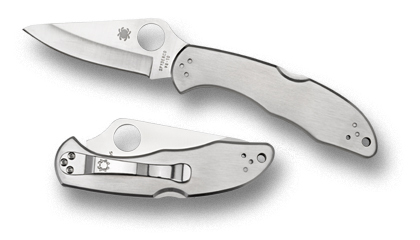 SPYDERCO C11PS e folding knife series Delica. The blade is sharp and smooth sided. The knife is made entirely of stainless steel VG-10. Handle has a hole in the rear end.